EDGE was appointed as project manager by Nottingham Trent University in July 2017 for the 3,000m2 Engineering Building. Subsequently, the project came to incorporate the 1,500m2 Institute of Industrial Digitisation, Robotics and Automation (IIDRA). The Engineering Building brings together a number of related engineering disciplines with mechanical workshops, fabrication suites, electrical workshops, wet laboratories and specialist design and simulation studios. The IIDRA element houses a number of flexible research areas aimed at developing understanding of the requirements of Industry 4.0. The key challenge is to deliver the building in time for occupation at the beginning of the 2019/20 academic year. It was imperative that progress gained momentum early in the process and was maintained throughout the design, planning, procurement and construction phases. 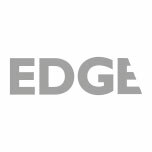 EDGE initiated a monitoring and reporting mechanism which set out a delivery plan, assigned roles and responsibilities, monitored progress against each activity and kept the University abreast of potential risks to the completion date. This was further complicated with the constraints of a site at the centre of Nottingham Trent University’s Clifton Campus. It was therefore imperative that EDGE worked alongside the University’s Estates team to ensure construction maintained a high level of productivity without impinging on the wider campus activities. Continuous stakeholder engagement throughout the project to ensure requirements were met.